The Arvo Pärt Project at Saint Vladimir’s Seminary will present two concerts on May 31 and June 2, 2014 devoted to the music of Estonian composer Arvo Pärt, an Orthodox Christian. The concerts will take place in New York City at Stern Auditorium/Perelman Stage at Carnegie Hall on May 31 and the Metropolitan Museum of Art on June 2, featuring performers closely associated with Mr. Pärt’s music. Traveling from Estonia for these events are the Estonian Philharmonic Chamber Choir and the Tallinn Chamber Orchestra, with their conductor Tõnu Kaljuste. During this tour the ensembles will perform repertoire specially selected by Mr. Pärt and the seminary to evoke the spirituality of Mr. Pärt’s music. The all-Pärt program at Stern Auditorium/Perelman Stage at Carnegie Hall, West 57th Street and Seventh Ave., New York, NY, will begin at 8:00 p.m. on Saturday, May 31. It will include the works Fratres, Cantus in Memory of Benjamin Britten, Adam’s Lament, Salve Regina, and Te Deum. The June 2 Met Museum Presents program features the Estonian Philharmonic Chamber Choir performing Kanon Pokajanen in the Sackler Wing of the Metropolitan Museum of Art. This latter performance will be streamed live beginning at 7:00 p.m. on Monday, June 2, by Q2 Music at q2music.org. The Estonian Philharmonic Chamber Choir and the Tallinn Chamber Orchestra have been recording Mr. Pärt’s music for ECM for more than two decades, and the recent ECM recording, Arvo Pärt: Adam’s Lament, won the 2014 Grammy Award for Best Choral Performance. In the same year, the orchestra was awarded the Estonian Music Council Prize. Mr. Kaljuste, who is a long-time associate of Mr. Pärt and noted interpreter of his work, has conducted the choir for 20 years and the orchestra for seven seasons and now works with the ensemble on tours and recordings. As part of the new SPARK conversation series, Met Museum Presents will also host a lecture, titled Spirit in Sound and Space: A Conversation Inspired by Arvo Pärt, by Robert Zatorre, a neuroscientist at the Montreal Neurological Institute; architect Steven Holl; and Dr. Peter Bouteneff, a musician and professor of theology at Saint Vladimir’s Seminary, in the Grace Rainey Rogers Auditorium on Wednesday, June 11 at 6:00 p.m. The conversation, led by Julie Burstein, author and Peabody Award-winning creator of Public Radio’s Studio 360, will explore the spiritual content of Mr. Pärt’s music and how how different spaces can impact how his music is perceived. Mr. Pärt, whose work ranges from choral to orchestral to solo instrumental compositions, has for the past three years been the most performed of any living composer. Born in 1935 in Paide, Estonia, Mr. Pärt first began composing using a variety of neo-classical styles as part of the “Soviet Avant-garde” movement. He worked as director and composer in residence for Estonian Radio from 1958 through 1967, produced nearly 50 film scores, and wrote Estonia’s very first 12-tone composition, Nekrolog, in 1960. 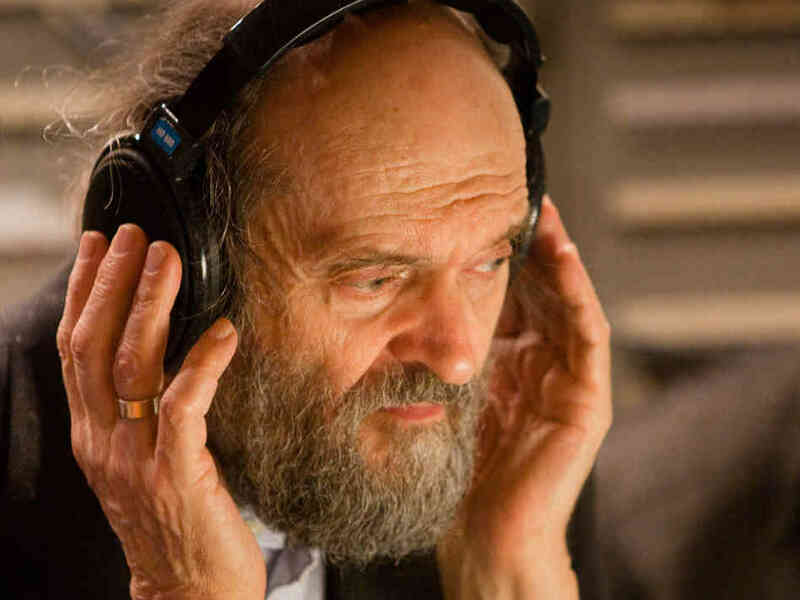 But in the late 1960s, following the ban of his work Credo by Soviet officials, the search for his own voice drove Mr. Pärt into near-withdrawal for eight years during which he studied Gregorian chant. In this time he created a new compositional principle he called “tintinnabuli” (Latin for “little bells”), a method that keeps sound structure to its bare essentials. It is a musical style that first emerged in 1976, and has defined Mr. Pärt’s music to this day. The power and purity of Mr. Pärt’s music was introduced to the Western world 30 years ago when Manfred Eicher launched ECM’s New Series with the recording of Tabula Rasa. ECM has since released more than 40 of Mr. Pärt’s compositions on 14 recordings. Between 1989 and 2011, Mr. Pärt was nominated for eight Grammy Awards, most of which were for Best Classical Contemporary Composition. In 1996, he was awarded honorary membership in the American Academy of Arts and Letters and was named Musical America’s Composer of the Year in 2005. Mr. Pärt is also currently a member of the Pontifical Council for Culture at the Vatican. The International Arvo Pärt Centre, built close to Mr. Pärt’s hometown, was founded in 2010 and is slated to include a research institute, a publishing house, and an archive of Mr. Pärt’s works. Developed by Saint Vladimir’s Seminary faculty members Dr. Nicholas Reeves and Dr. Peter Bouteneff, The Arvo Pärt Project was inaugurated in 2011 to explore the spiritual roots of Mr. Pärt’s music. Collaborative efforts with Mr. Pärt being explored include these concerts and lectures, planned publications devoted to Mr. Pärt’s personal spiritual narrative, and a long-term academic partnership between the Arvo Pärt Centre in Estonia and Saint Vladimir’s Seminary. Tickets to the Saturday, May 31, 8:00 p.m. performance at Stern Auditorium/Perelman Stage at Carnegie Hall may be purchased at www.arvopartproject.com. The Monday, June 2 performance at the Metropolitan Museum of Art has sold out. Tickets to the Wednesday, June 11, 6:00 p.m. SPARK discussion at the Metropolitan Museum of Art are available by calling 212-570-3949 or on-line at www.metmuseum.org/tickets.